Exclusive newly built penthouse condo residence PH500 spans the entire 5th floor roof of The Barwil's front building. An entertainer’s dream, PH5oo features a stunning 72-foot long main hall showcasing panoramic city views to the West and a private outdoor entertaining lounge to the East via huge remote-controlled motorized multi-slide windows and multi-fold glass doors. Both the West and East ends of the penthouse can be opened entirely to the outdoors. 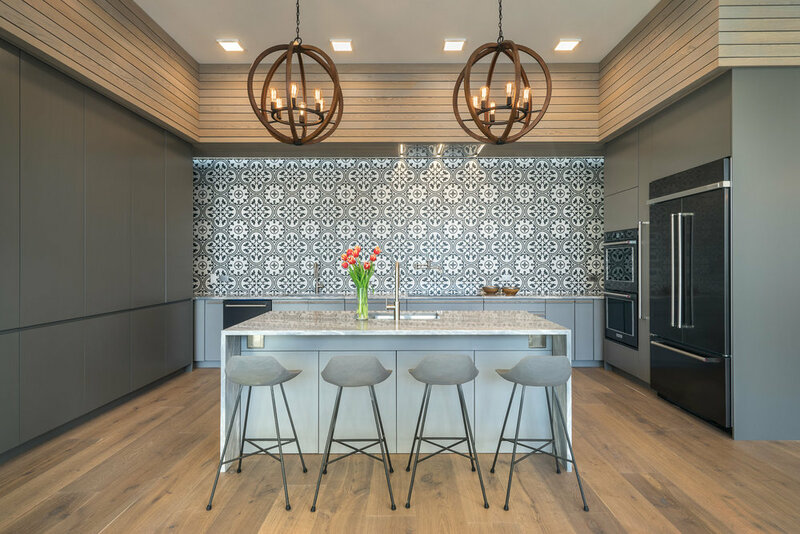 With its high ceilings, salvaged 19th-century industrial girder beam & columns, extra-wide plank European white oak floors and solid oak custom 8-foot tall doors, the penthouse would never be mistaken for cookie cutter new construction. A sleek, modern, custom kitchen features black stainless steel appliances, waterfall marble counters and a 10-foot tall pantry wall and overlooks the expansive living and dining rooms. A custom floor-to-ceiling 140-bottle mahogany wine riddling wall and bar with under counter wine cellar and refrigerator complete the living areas, and three bedrooms feature spa-like en suite bathrooms with two in-unit laundry areas. The terrace features an Italian porcelain deck, dining area with chandelier lighting, outdoor kitchen with 40" gas grill, sink and beverage center, Brazilian Ipe slat walls and comfortable sectional seating. The keyed elevator, private entry foyer and smartphone-controlled two-way video intercom provide the penthouse with privacy.